STONETECH® Heavy Duty Coating Stripper is specifically formulated to safely break down coatings and epoxy grout haze. It is recommended for use on marble, slate, and saltillo. 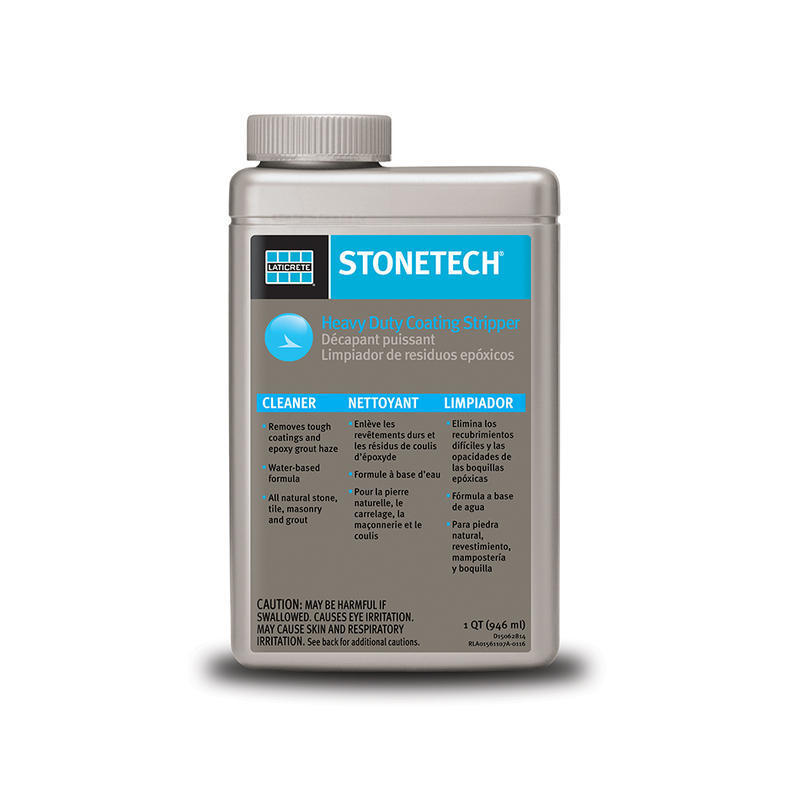 Removes tough coatings, lacquers, and varnishes. Low odor and non-flammable water-based formula.